Diamond Nectar? accelerates nutrient absorption where mineral foods enter the plant. Diamond Nectar? applies the chelating action of humic acids to nutrient rich hydroponic environments by grabbing immobile and molecularly heavy compounds. They are transported through and into plant tissues for faster growth and greater yields. Diamond Nectar? 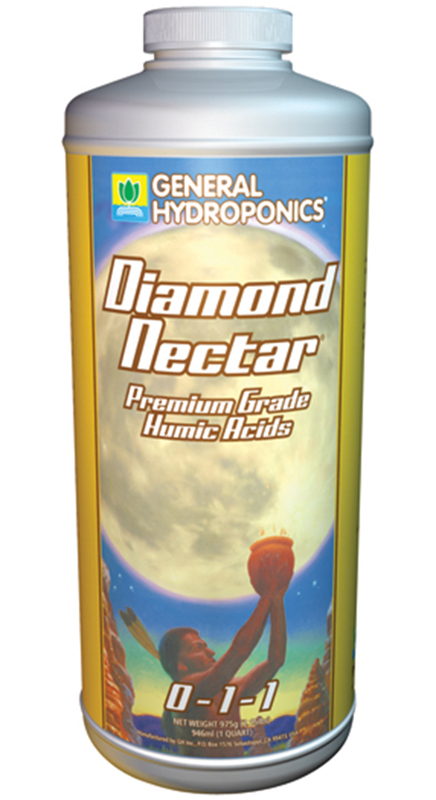 supercharges your nutrients in order to optimize the health of your plants and the quality of your crops.